“ (6) The person responsible for paying to a non-resident, not being a company, or to a foreign company, any sum, whether or not chargeable under the provisions of this Act, shall furnish the information relating to payment of such sum, in such form and manner, as may be prescribed.”. Tax deductor and collector holding valid TAN can register and use the TAN based credentials to file Form 15CA. 1. (1) These rules may be called the Income-tax (21st Amendment) Rules, 2015. (b) in Part C of Form No.15CA after obtaining a certificate in Form No. 15CB from an accountant as defined in the Explanation below sub-section (2) of section 288 . (ii) electronically in accordance with the procedures, formats and standards specified by the Principal Director General of Income-tax (Systems) under sub-rule (8) and thereafter signed printout of the said form shall be submitted to the authorised dealer, prior to remitting the payment. 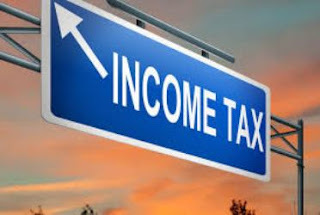 (5) An income-tax authority may require the authorised dealer to furnish the signed printout of Form No.15CA referred to in clause (ii) of sub-rule (4) for the purposes of any proceedings under the Act. (6) The certificate in Form No. 15CB shall be furnished and verified electronically in accordance with the procedures, formats and standards specified by the Principal DirectorGeneral of Income-tax (Systems) under sub-rule (8). (7) The authorized dealer shall furnish a quarterly statement for each quarter of the financial year in Form No.15CC to the Principal Director General of Income-tax (Systems) or the person authorized by the Principal Director General of Income-tax (Systems) electronically under digital signature within fifteen days from the end of the quarter of the financial year to which such statement relates in accordance with the procedures, formats and standards specified by the Principal Director General of Income-tax (Systems) under sub-rule (8). (8) The Principal Director General of Income-tax (Systems) shall specify the procedures, formats and standards for the purposes of furnishing and verification of Form 15CA, Form 15CB and Form 15CC and shall be responsible for the day-to-day administration in relation to the furnishing and verification of information, certificate and quarterly statement in accordance with the provisions of sub-rules (4), (6) and (7). Explanation.— For the purposes of this rule ‘authorized dealer’ means a person authorized as an authorized dealer under sub-section (1) of section 10 of the Foreign Exchange Management Act, 1999 (42 of 1999).”.